Legal Firm Website Design is here to provide a holistic approach to online marketing. We want to assist in building your law firm’s online footprint. Whether you are a small, midsize, or large firm, we can customize a package that will fit your needs. As a lawyer, having a sleek and credible website can be the difference between a prospective client contacting you, rather than your competition. Let us build your firm a cutting edge website and provide the marketing service that will bring your website to its fullest potential. Join the Legal Firm Website Design team and stay ahead of the game. How Do We Characterize Your Law Firm? Typically, solo/small practices usually, have 1-10 attorneys. We understand that there may be budgetary restrictions when it comes to marketing. We have been able to implement high-impact and affordable plans for small firms in the past that showcase their expertise in the applicable practice areas. Midsize practices typically range from 11-50 attorneys. Midsize practices face a similar set of challenges that small firms do. Midsize practices face the challenge of competing with large firms, without the unlimited budget of a larger practice. We have years of experience assisting midsize firms out kick the competition and resonate with potential clients. We categorize large practices as a firm that exceeds 51 attorneys. Large firms have the opportunity to maximize their digital footprint on the world wide web. We have experience building refined websites and impactful marketing campaigns that will reap national recognition. No matter what your marketing goals are, we have the industry knowledge to help you achieve them. What Can We Do For Your Law Firm? When you are looking for outside marketing assistance for your law firm, it is ideal if you are able to find one company that can manage all of your needs. Legal Firm Web Design is that company. We have years of experience building websites for law firms, managing their search engine optimization and search engine marketing campaigns, and developing hard-hitting content that turns prospects into clients. Our expertise and niche focus on law provides us with the credibility and confidence to take on any project, any size, and know that we will get the results you want. First off, we will build a website that fits your firm’s needs. We have a few different options available ranging from starter kits that come with a few pages of “library content”, to full websites with custom content. We are able to adjust our plans and strategies to fit your firm’s needs. The design of your website is just as important as the content that is on it. Our web designers will create a website that not only looks great, but gives your visitors the best user experience possible. Our clean navigations, drop down menus, and on-page graphics will complete your website and give it the professional appeal you are looking for. 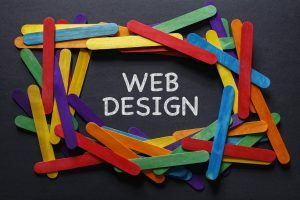 Not only will Legal Firm Website Design build a high-quality and impactful website for your firm, but we offer a range of online marketing services as well. One of the services we offer is to manage your search engine optimization. Search engine optimization takes into account everything from the architecture of your website, to the content that is written on the pages of your website. The practices we use are intended to increase the visibility of your website by raising the position of your website in search engines (Google, Bing, Yahoo, etc.). 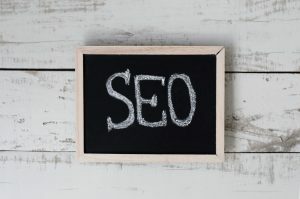 The idea behind search engine optimization is that increasing your website’s visibility, will, in turn, increase the amount of organic traffic your website is getting. There are a variety of ways to raise the rank of your website. Some of the practice we use are internal linking, writing meta descriptions, titles and headers, and image optimization. In addition to our on-page optimization services, we also offer a bevy off-page optimization services. 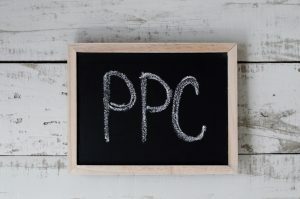 Search engine marketing, also known as pay per click marketing, is a paid promotion that brings your website’s listing to the top of a search engine results page when a certain keyword or phrase is searched. Search engine marketing campaigns are great for law firms for a few reasons. One reason is that when prospective clients are seeking legal advice, it is more likely than not that they will use a search engine to find the legal advice they are looking for. The higher you rank, the more credibility your website will have and the odds that the prospect will click through to your website increase. Another reason is that we can choose to target a very specific set of prospects. When we first begin the campaign, our staff will develop a keyword list that we think best fits your needs. After we begin the campaign, we can adjust the keywords in the campaign on the fly, taking keywords out or adding keywords depending on their performance. If you decide to choose us to control your online marketing, we will keep you in the loop for the entire process. Nothing will go on your firm’s website or be published under your name without your approval. Additionally, at the end of each month, we will send you a detailed report regarding your website’s performance. Now, we don’t expect you to know what the fancy terms in this report mean, so we will walk you through the report to ensure that you understand how your website is performing and everyone is on the same page. At Legal Firm Web Design, we treat all of our clients as if they are a part of our family. Our friendly support staff will be available to answer any of your questions during business hours. Part of what separates us from other web design and online marketing agencies is that we specialize in online marketing services for law firms. We have experience handling the online marketing responsibilities for all practice areas of law; so we know what works and what does not. All the services we offer are great options alone, but they are even better together. Our experienced staff knows how to build an impactful website for a law firm that will generate quality leads. If our services interest you, fill out our contact form. One of our account managers will get reach out to you as soon as they are available to discuss your firm’s needs and options.